Italy’s stunning Amalfi Coast is well located for day trips to some of southern Italy’s top sights and attractions. Of course the coast is an attraction in itself and you’ll want so spend some time visiting the other Amalfi Coast towns or taking a boat ride along the coast. But there are great attractions nearby and it’s fun to go a little farther afield. If you are planning to take several day trips, the town of Sorrento is the usually the most convenient location because it has train access. From Sorrento you can take a bus or boat to explore the Amalfi Coast. 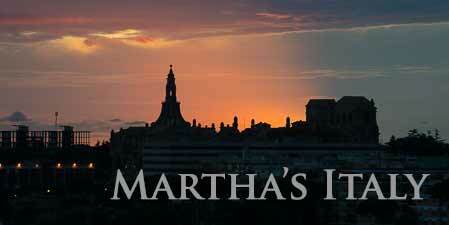 Here are our recommendations for top day trips and transportation information. See their locations on this Campania map. 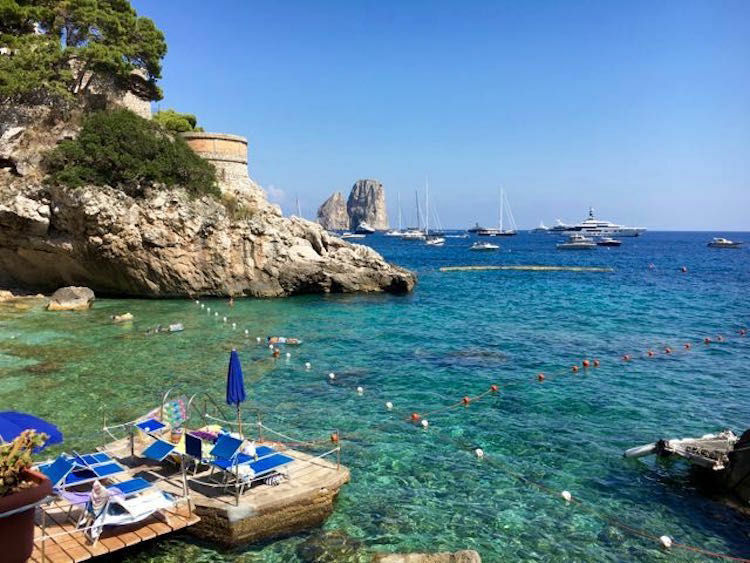 The island of Capri has been enchanting tourists since the Roman days and it’s still a top place to go from Naples, Sorrento, or the Amalfi Coast. Top things to see on Capri are the Blue Grotto, the charming town of Capri, and the high town of Anacapri with the Villa San Michele art museum and great sea views. Ferries go from Sorrento (20 – 30 minutes) or Positano and Amalfi (30 – 50 minutes) to Marina Grande on Capri, running primarily from mid-April to late October. From Marina Grande you can take a boat to visit the popular Blue Grotto, an excursion boat trip around the island, or rent your own boat. A funicular railway takes you up the hill to the town of Capri, the island’s main town, and buses run to the towns and other parts of the island. See the ferry, bus, and funicular schedules. Note that schedules change frequently and ferries are cancelled in bad weather so check the site just before you go. The ancient city of Pompeii, one of Italy’s most popular and well-known ancient Roman sites, is easy to access from Sorrento. To visit the archaeological site, take the Circumvesuviana train toward Naples, getting off at Pompeii Scavi Villa dei Misteri. 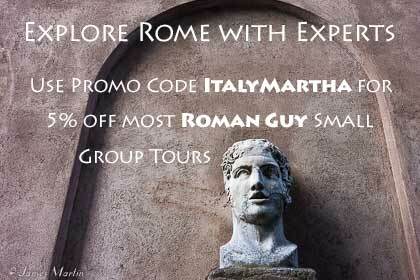 Or take a half-day Pompeii sight-seeing trip from Sorrento with transportation (daily April – October). Much of the ancient city has been excavated, making it a huge site to explore. You’ll see remains of temples, the forum, Roman baths, an amphitheater, old roads, and ancient shops and villas, some with remains of frescoes on the walls or mosaic floors. Plan to spend at least 2 – 3 hours at the site. 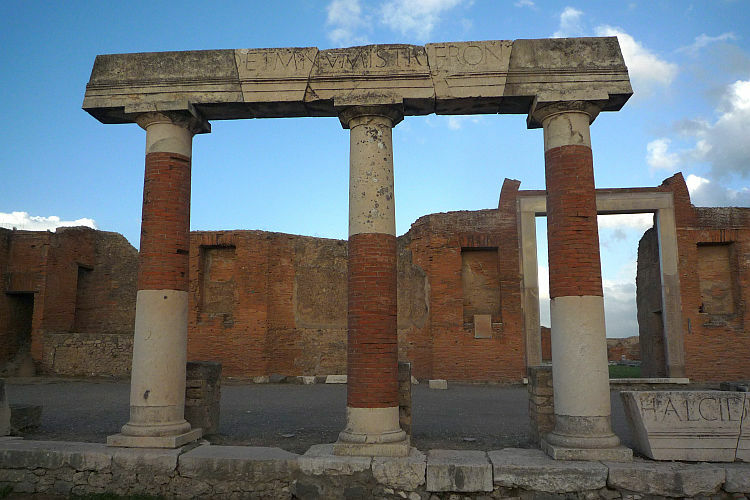 Then take a little time to explore the town of Pompei and eat lunch at a local restaurant. If you’d like to visit another ancient Roman site, continue farther on the train to Herculaneum Scavi to see the excavations at Herculaneum. To visit Mount Vesuvius take the Circumvesuviana train from Sorrento to the Pompeii Scavi-Villa dei Misteri stop. From Pompeii station catch the free shuttle, Busvia del Vesuvio bus. The shuttle takes you to the national park entrance to board the park’s free bus. Enjoy a walk on the nature trail. Or take a Mount Vesuvius half-day tour from Sorrento with transportation. Naples is a large, bustling city with plenty of interesting things to see and do. 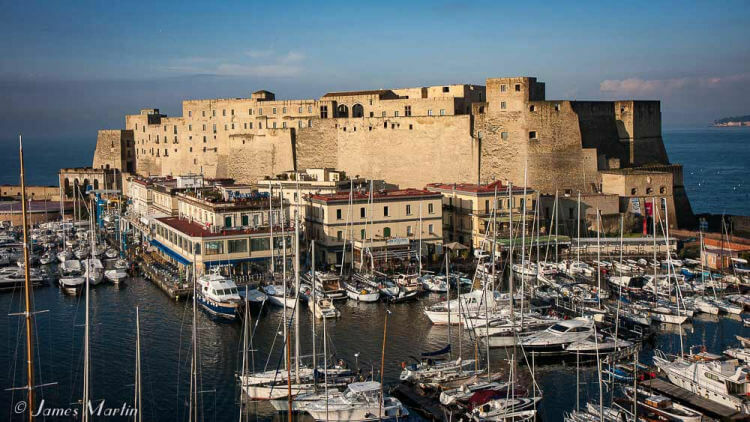 Wander through the lively historic center, take an underground tour, visit the Santa Chiara Monastery complex, visit the archeological museum to see finds from Pompeii and other Roman excavations, see Castel dell’Ovo and Castel Nuovo, and be sure to eat pizza. To get to Naples take the Circumvesuviana train from Sorrento, taking about an hour, or from Amalfi Coast towns, take a bus to Salerno and then the regular train to Napoli Centrale station, taking 30 – 40 minutes. Paestum is a large archaeological site with well-preserved Greek temples from the 5th century BC, remains of the Greek town, and Roman remains. There’s a good archaeological museum with finds from the site and a few restaurants and bars outside the site. 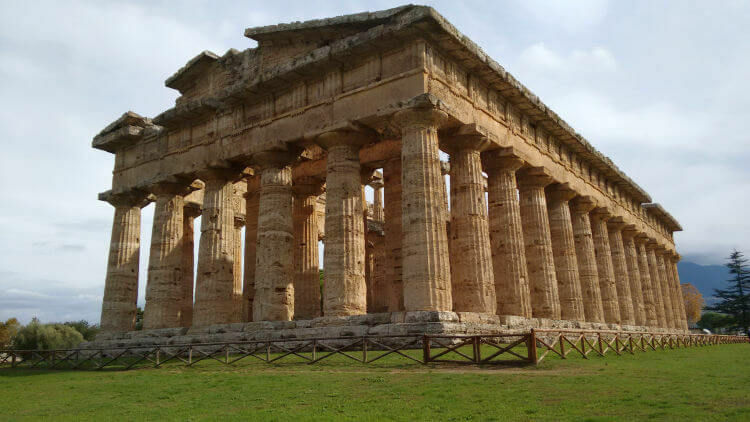 Paestum can be reached by regional train from Salerno and the site is about a 15 minute walk from the station. To get to Salerno, take the bus from Amalfi or Positano or in high season, you can also take a ferry.